Collector's Fair | Newport Municipal Building Gym | Community | Kids VT - small people, big ideas! 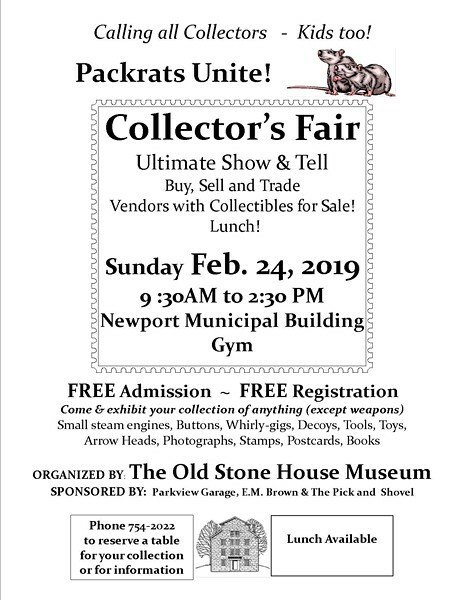 Packrats congregate in this show-and-tell of unique collections—buy, sell, trade or simply admire. Lunch fare available.